Last week I went to visit my boyfriend in Illinois (I realize normally you go somewhere warm for spring break, but surprisingly enough my trip to the mid-west meant I missed a DC snow storm). I flew into O’Hare and he took me out to a surprise dinner in Chicago. 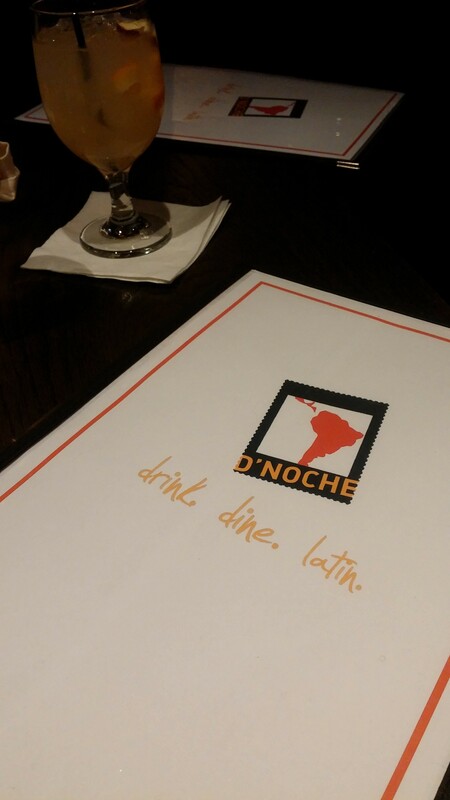 We ended up at D’Noche (because he knows my never ending love for Mexican food). 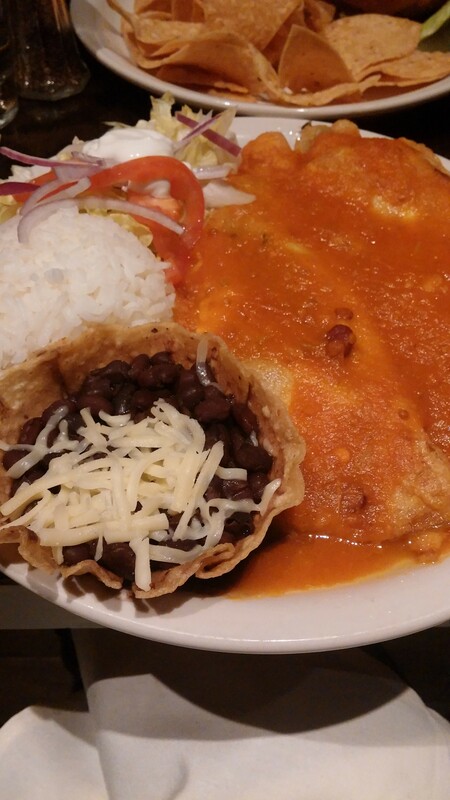 The restaurant had all kinds of delicious Latin American food, it was the perfect meal! 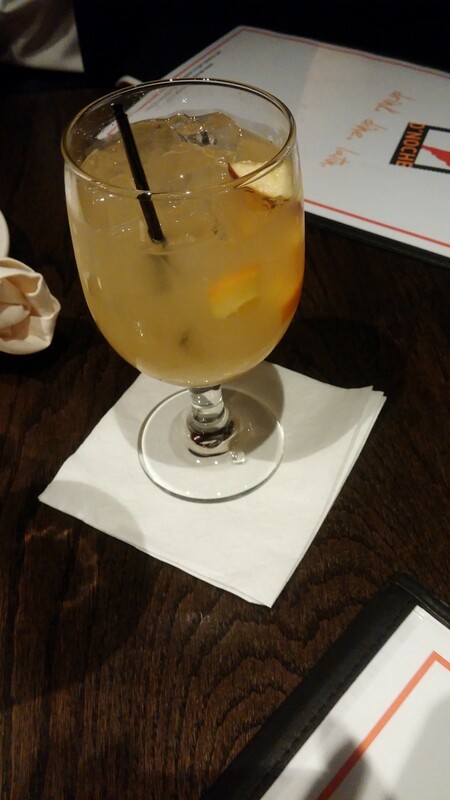 We started things out with a sangria blanca (because white wine sangria is one of my favorite things, and who doesn’t need a drink after a flight?) and guacamole (because you don’t need a reason for guacamole). 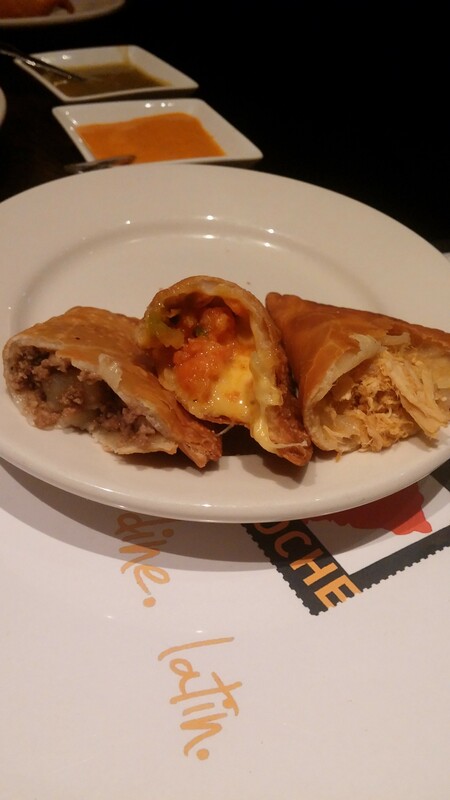 We also ordered the trio de empanadas (very reminiscent of my time in Argentina). 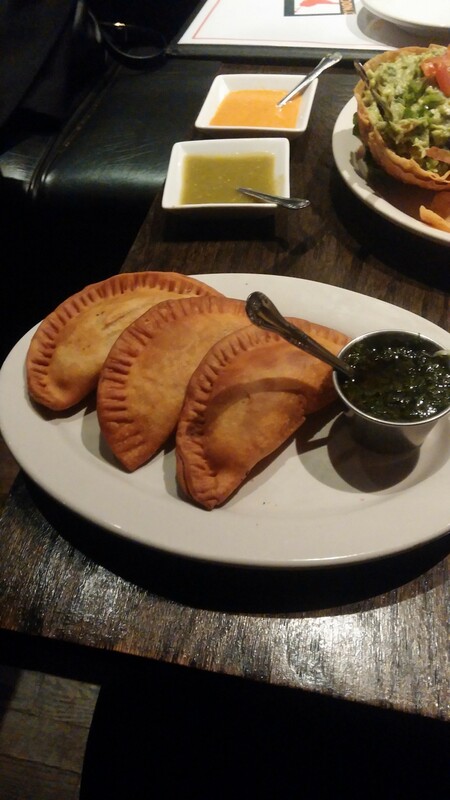 An order came with a beef, shrimp, and chicken empanada along with a variety of different sauces (one of them being chimichurri, which is the best I’ve had since getting back from Argentina) that went well with all of the empanadas and the guacamole as well. For dinner I got chiles rellenos (pobalano peppers stuffed with cheese, and covered in salsa Ranchera) which came with beans and rice. The cheese was melty and rich and delicious and the side orders were great too. 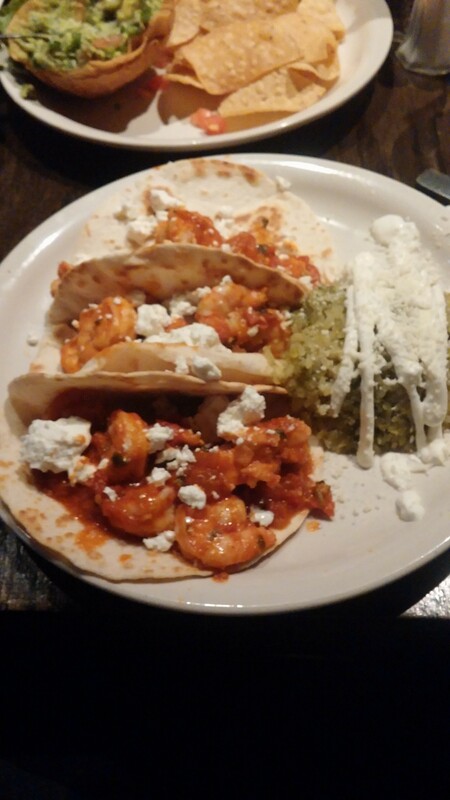 Luke opted for the tacos de camaron (shrimp tacos) with green rice which he let me try (because I would have stolen some anyway…) and they were quite yummy as well, the goat cheese went surprisingly well with the shrimp (I never really thought of putting shrimp and cheese together, but then again cheese goes with pretty much everything). It was an absolutely delicious start to a wonderful trip! I’ll be telling you all about my visit to Urbabna-Champaign in an upcoming post, so keep your eyes open for it!